Mica Hardware | 8 Reasons to Start Composting today! Home » 8 Reasons to Start Composting today! 8 Reasons to Start Composting today! What is composting and why is it vital for you to be doing it in your home? Composting is a completely green method of recycling the earth’s organic waste material through natural decomposition, which helps to resolve many damaging environmental issues. The most important being that it drastically decreases the amount of waste sent to landfills. Home composting is just a fast-tracked way of doing what already naturally transpired in nature and assists in healing the planet. Turn your kitchen waste into a nutrient dense soil transformation that your garden needs. The majority of our household waste can be composted and it is essential to do so because it is a way in which we can restore our organic world. It might sound slightly time-consuming but once you set up your own DIY composting system, it will feel like second nature! Here are our top 8 reasons why you should start composting today! Decreases landfill waste. Prevent waste from making it to landfills by composting instead. Reduce the space that rubbish takes up in landfills by not tossing away your food leftovers and garden debris and creating a rich mixture to feed your plants and garden. Protects local wildlife. By composting at home, you are permitting garbage to reach the landfills and this has a massive impact on the environment and local animals. Sadly, landfills can negatively affect wildlife food webs in ecological communities. Reduces toxic greenhouse gases – Landfills are the principal cause of toxic methane gases in the world. Composting lowers the amount of heating gases created by organic material in our landfills. If all homes composted, this would seriously help to decrease the amount of toxic greenhouse gases which are released and will radically shrink the methane levels on planet Earth! Is a natural alternative to chemical fertilizer. Compost is a natural and gentle fertilizer and it will not harm plants unlike chemical fertilizers. 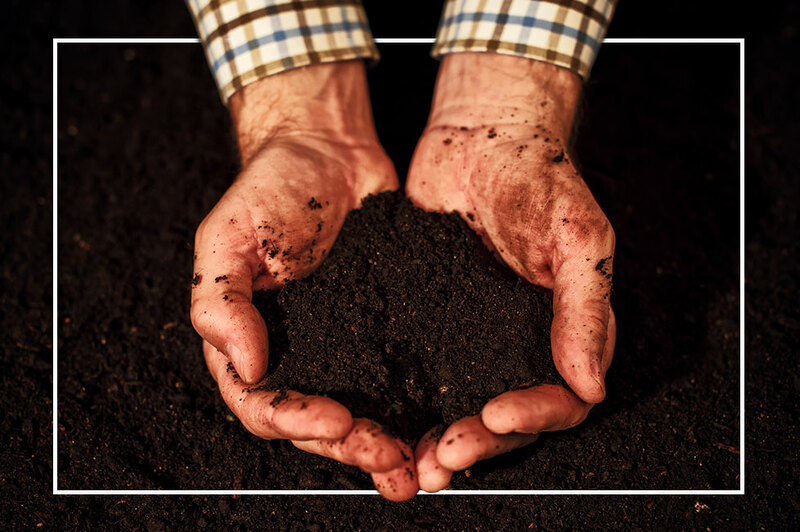 In composting, you will be enriching the general quality of your soil with beneficial nutrients that will boost plant growth and will help maintain your garden’s soil quality, encouraging a better harvest and much healthier produce. This natural fertilizer will also prevent polluting our groundwater from toxic runoff like rivers, lakes and streams. Keeps garden pests at bay – Organic compost works as a natural garden pesticide which will prevent unwanted rodents and pesky insects from destroying your garden beds and plants, but it is so gentle that nobody will be harmed. Stimulates the biodiversity of organisms – Using compost in soil encourages multiple life forms to develop which are vital in giving the soil its necessary precious nutrients as well as creating sufficient air channels within the soil from the activities and movement of those micro-organisms. This results in densely more fertile soils for plants to happily and healthily grow in. Will save you money and resources. By using a compost to feed your plants, you will be using less water since your garden will retain its moisture and you will be buying less chemical garden products which will feel better on your pocket. You will also be saving bucks on your garden refusal service as you will have less for them to remove. There are so many reasons to compost and these are to name but only a few. Scatter some compost on your flowerbeds for a great green-alternative and reduce your impact on the environment. Get all the tools and equipment you need from your local Mica Hardware to start composting today and help our earth!